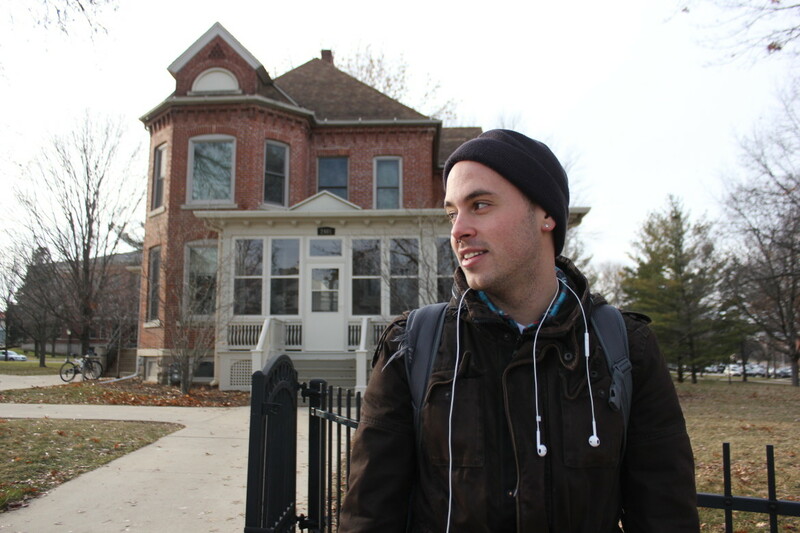 Art major Jordon Deutmeyer stands outside of the University of Northern Iowa Honors Cottage in December 2013. Listen to the Iowa Public Radio podcast that featured IowaWatch’s stories on college student depression. The IowaWatch portion follows a scathing critique of online journalism by media political economist Robert McChesney, of the University of Illinois, Urbana-Champaign. Then, IowaWatch’s Stephen Berry and Linh Ta and Jordon Deutmeyer, the University of Northern Iowa student featured in Ta’s story about college student depression, join the program with host Ben Kieffer. Here is a link to the Iowa Public Radio program.